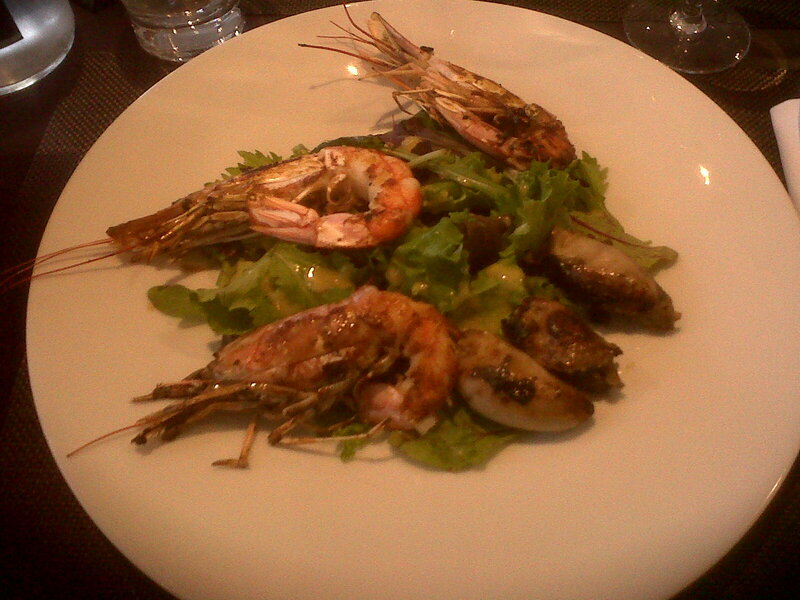 Large prawns, squid stuffed with aubergine on lettuce. Today we arrived in Oleron and our usual hotel. Hope your weather is good for you, here today like winter, food looks good. Weather most acceptable. A kind of warmish, dryish Scotland.